Home Travel Blog Where is the good place around to Angkor? Where is the good place around to Angkor? Angkor was the capital city of Khmer Empire, which flourished from about the 9th to 15th centuries. 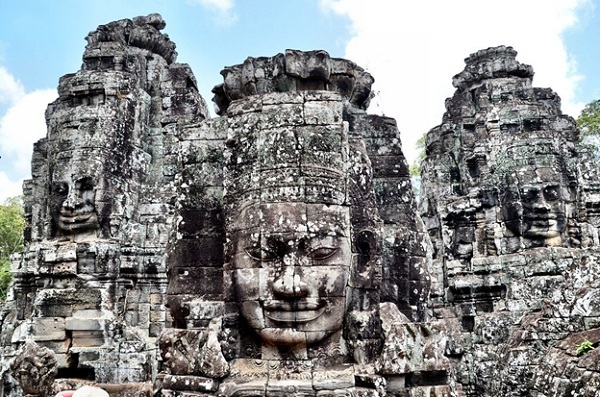 The temples of Angkor were built when Khmer civilization was at the top of its extraordinary creativity. 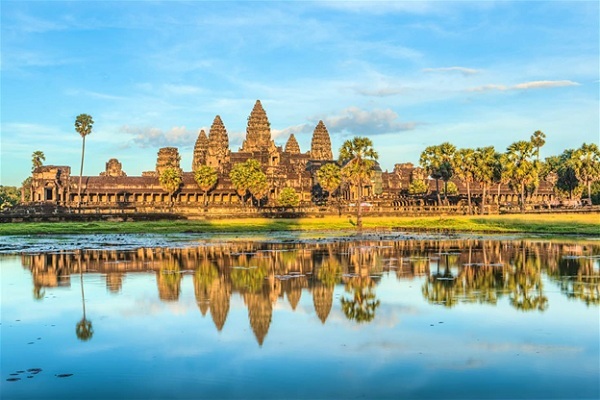 Unparalleled in South-East Asia area, Angkor rates among the foremost architectural wonders of the world and is truly magnificent. Angkor with its ancient temples turns into one of Cambodia’s popular traveler attractions. Among many destinations, do you know where the good place around to Angkor is on your holidays? 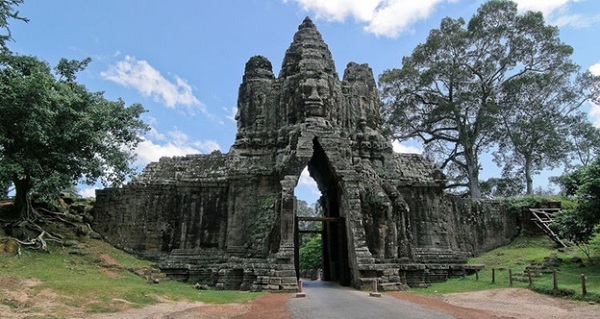 You can visit Indochina tours Cambodia to get more information. Angkor Wat is the largest and the most outstanding of the religious monuments of Angkor and the world. Most probably it was constructed as both a temple and mausoleum for Suryavarman II (ruled 1112-52) to honor Vishnu, the Hindu deity. Angkor Wat is known as Cambodia’s national symbol and its depiction even appears in the national flag. 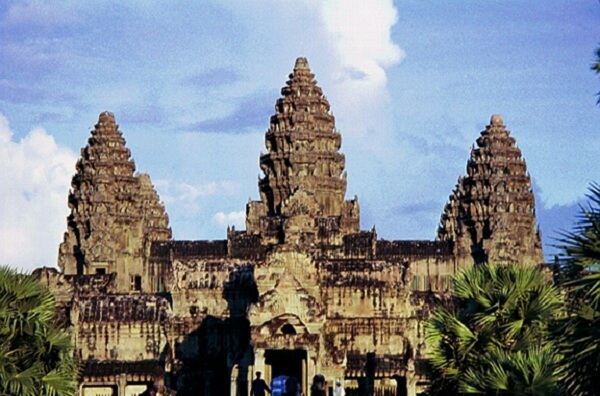 Therefore, many people advice that Angkor Wat is the first must–to-see place when you travel to Cambodia. The Bayon is also a good place around to Angkor for you to travel as the most popular of Angkor’s many monuments such as Angkor Wat, Angkor Thom,… It’s a good place of stooped corridors, precipitous flights of stairs, and in particular a collection of 54 gothic towers decorated with over 200 coldly smiling, huge faces of Avalokiteshvara. Bayon was built by Jayavarman VII. The temple stands in the centre of Angkor Thom. With its 54 towers and 216 faces of Avalokiteshvara. The temple looks best just after sunrise or at the end of the afternoon when the sun shines on the faces, so you should arrange your time suitably to have a good sightseeing. The temple of Ta Prohm together with Angkor Wat and the Bayon are considerd as good ones of the most popular attractions around to Angkor. Nonetheless, unlike the other monuments of Angkor, it is swallowed by the jungle and looks very much the way most of the monuments of Angkor appeared when European explorers first stumbled upon them. Still covered by the jungle, this place is exactly as it was found initially, that is the reason why Ta Prohm is also called as a “Jungle Temple”. Coming to Ta Prohm, it’s easy for you to imagine how the whole complex looked when it was re-discovered in the 19th-century. When traveling to this temple, you probably must feel you are in the adventure of Indiana Jones, a really surreal experience. 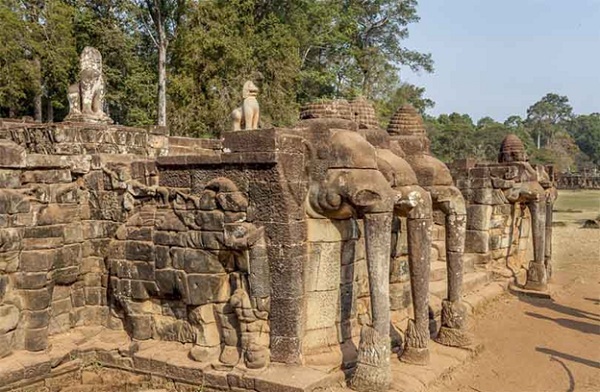 Elephant Terrace is a part of the walled city of Angkor Thom built in the late 12th century by Jayavarman VII. Elephant Terrace is a historical and King‘s attractions place in the ancient time to watch the full view of elephant collision. There are numerous elephants carving and mahout on the wall. Many lions decorate this enormous path as well. There are five staircases, three in the center and one at each end. The staircase in the middle is very importance, you can view the entire area and with beautiful capture. Elephant Terrace was used as a giant viewing stand during public ceremonies, royal ceremonies, and so on. 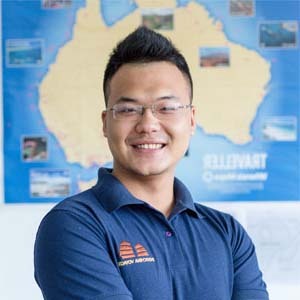 Not at all, besides the good places as mentioned above, these are also really popular destinations around to Angkor you should come: Banteay Srei, East Mebon, Preah Khan, Pre Rup, Preah Ko (Sacred Bull), Srah Srang, Ta Som, Baksei Chamkrong, Terrace of the Leper King. There are so many good places around to Angkor to travel on your holidays. Among them Angkor Wat is consider Cambodia’s national signal, therefore this place usually become travelers’ beginning point for the trip. 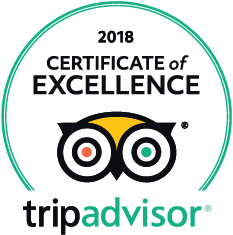 Promisingly, traveling around to Angkor will not only bring the interest to you, but also will enlarge your knowledge about the precious history.